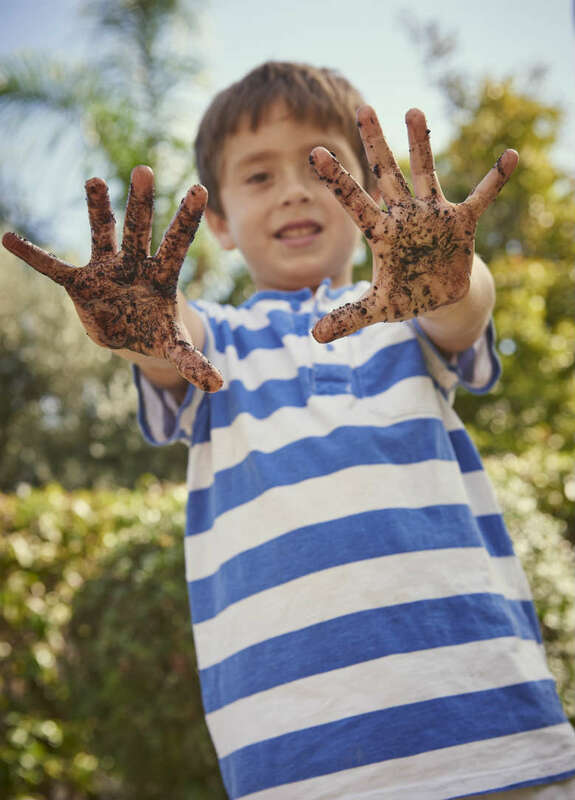 If you’re eager to get the kids outdoors enjoying the garden, take a look at our top tips for turning your little ones into the gardeners of tomorrow. Gardening is a great activity, whatever the age of your child. As well as the obvious physical benefits to gardening and getting them outside and exercising, gardening teaches kids about the world they live in and enables kids to see how their efforts and actions have a positive effect on their environment. Pick something simple to start with and watch them get hooked as their plants start to grow! The Briers Kids Garden Tool Bag is the perfect starter kit for kids. The children’s gardening tools kit includes a garden tool bag, mini watering can, mini hand rake, trowel and fork – perfect for little hands! There’s plenty of space in the tool bag to store seeds, pens and labels, making it ideal for helping kids get started on growing their own. 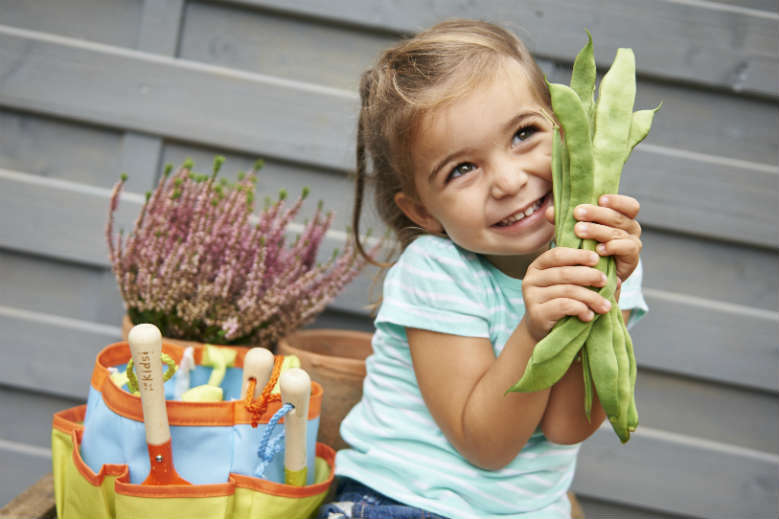 Encourage the kids to grow their own giant beanstalk with these ‘magic’ beans. Runner beans are really easy to grow into tall climbing plants. And they taste really good too! You can grow any type of veg. Growing vegetables is a great way to teach kids about where their food comes from, and it’s perfect for promoting a healthy lifestyle and encouraging them to eat healthy! Visit our full range of fruit and vegetable seeds here, and get your kids growing their own. Strawberries are a favourite for many and they taste even better home grown! Let kids grow their own seeds to success with our strawberry seeds. Get a bird spotting book and let them get to know which birds are in your garden. Make it even more fun by picking up a small pair of binoculars to really get them interested in wildlife watching. See who can grow the tallest sunflower. Plant them side by side and watch them sprout in just a week! After 8 weeks, measure the height of each sunflower and whoever grew the tallest will be declared the winner! Get the kids making a fun cress head using an empty half-cut egg shell, cotton wool and some kitchen towel. Decorate the egg shell with a friendly face, pop a small amount of damp kitchen towel into the bottom of the egg shell, followed by some damp cotton wool. Sprinkle a few cress seeds over the top and shoots will start to appear within a week. We know how important bees are for our gardens and the planet in general, so get kids involved in helping to save them by making a bee hotel. Simply put straw into empty pipes or fill a terracotta plant pot with pine cones. This fun Kitchen Parsley Grow Pot is an easy ‘gardening’ idea to encourage kid’s initial interest in growing their own plants. It requires minimal effort and can be done indoors. Kids can watch their efforts grow any time of the day! You’ll find all our herbs here. Gardening is all about experimenting. Put kids in old clothes, relax and let them get muddy!